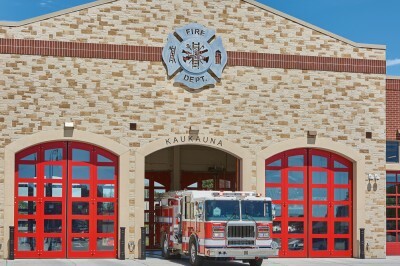 William A. Hein Construction Co., Inc.
Over the last few years the city of Kaukauna has revitalized its city facilities by constructing several new municipal buildings, including a municipal service building and police station, a fire station, and by renovating an existing public works facility. 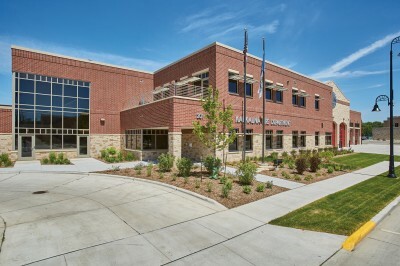 All three buildings sit in the same area and are situated to create a public square. 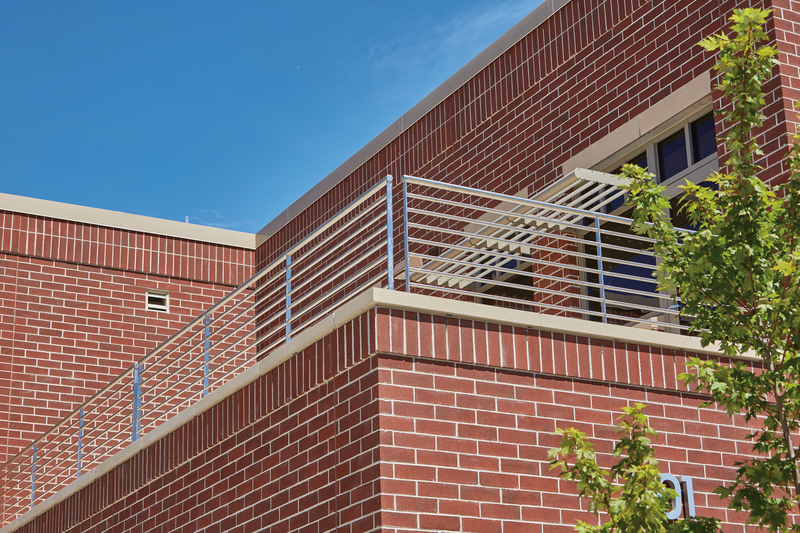 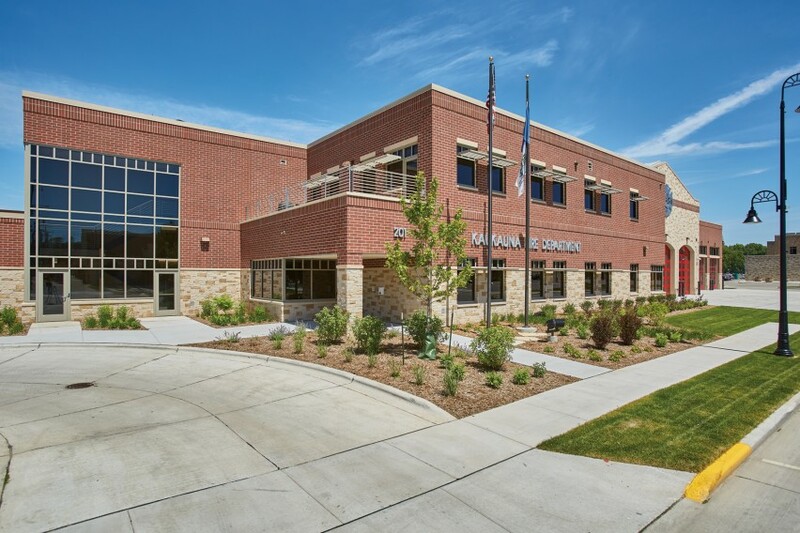 Reflection Stone® Masonry Units and Heritage Collection™ Designer Concrete Brick produced by County Materials deliver an immediate visual impact because the same concrete masonry is used on all three buildings, tying the public square together. 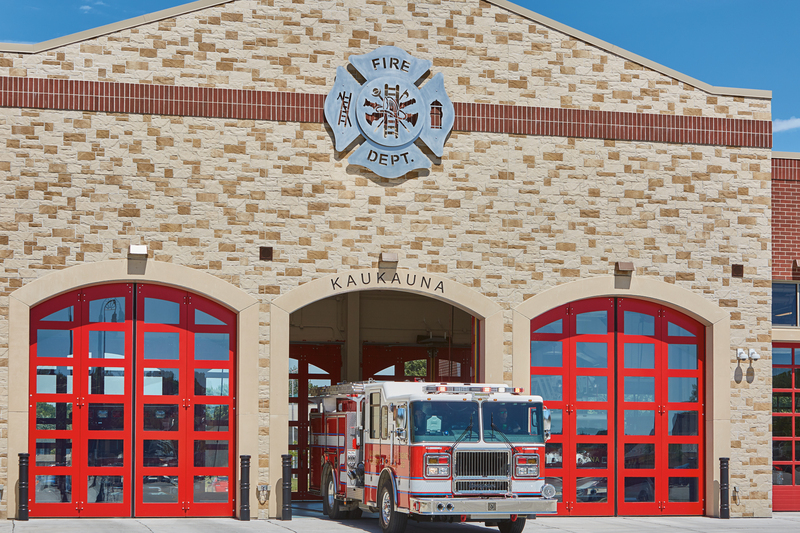 Many historic buildings in Kaukauna have exterior walls constructed with limestone harvested from local quarries. 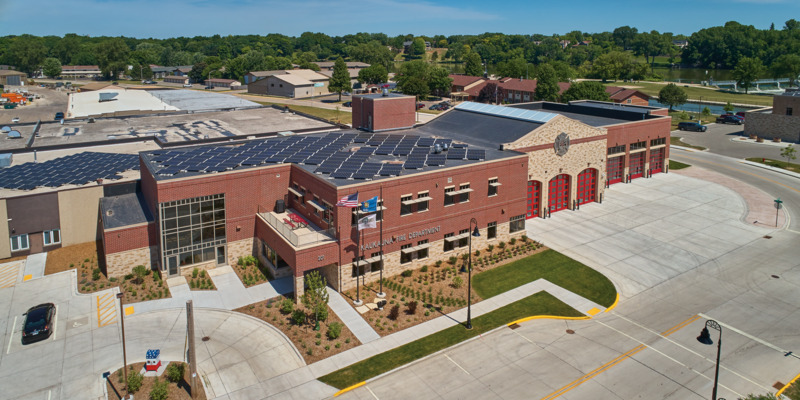 When designing the new municipal facilities, the architect wanted to reflect this history and mirror the city’s existing buildings. 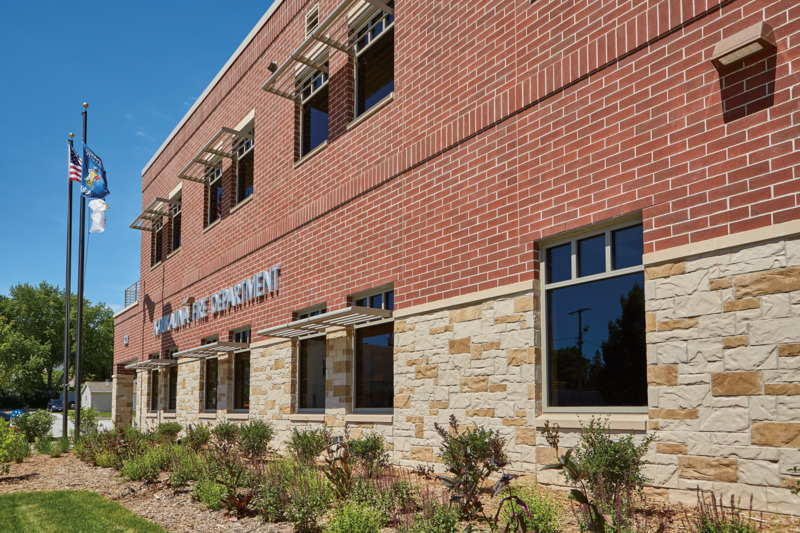 The architect turned to County Materials to create custom blended Reflection Stone units that would meet the project’s design. Concrete masonry was selected for its low cost compared to natural stone and because it’s a trusted building material, providing many benefits of masonry construction. 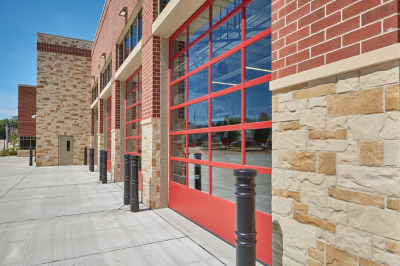 In addition to using custom blended Reflection Stone units, the architect utilized Heritage Brick in Regency Red throughout the fire station to embody the look of a traditional fire department building. 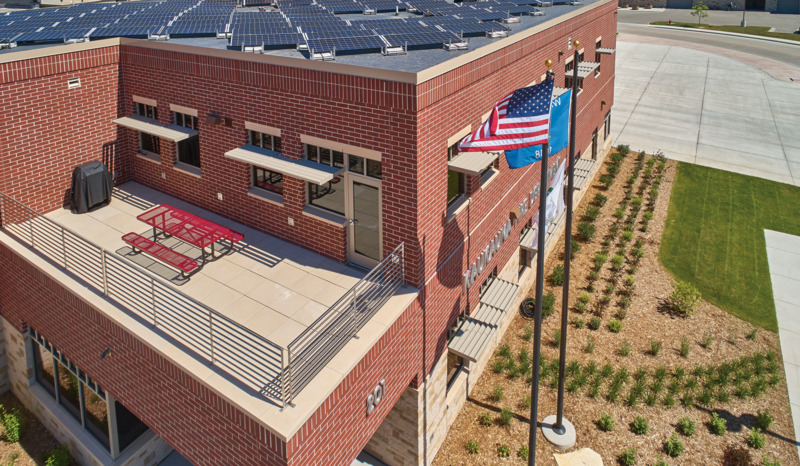 Masonry also helped meet sustainability goals set by the city. 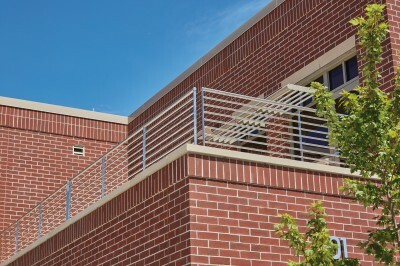 Masonry was used to build a cavity wall with thermal breaking, improving R-values. In addition, the masonry units were manufactured locally, which provided additional points for achieving the building’s LEED Gold standard rating. 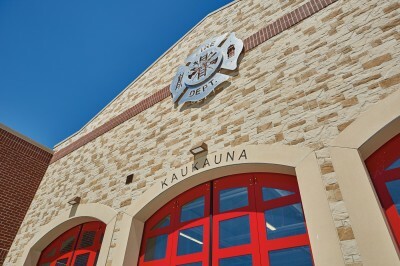 Designing the layout of the fire station presented several challenges. Surrounded by city streets on three sides and built against the existing fire station, this left little room to build out. 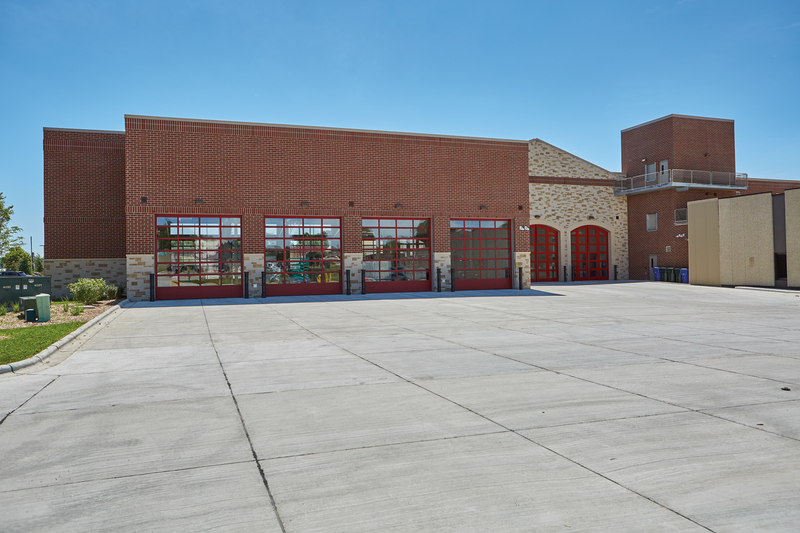 This required a two-story station to achieve the space needed for equipment and training. The station also includes a three-story training tower with an exterior balcony. 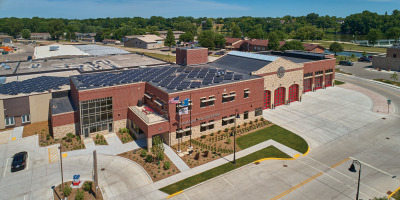 The training tower is clad with Heritage Concrete Brick because of the masonry unit’s ability to withstand the endless wear-and-tear from repeated training exercises.